Third-seeded Oklahoma (52-7) opens play at the 2016 Women’s College World Series Thursday night at 6 p.m. against No. 6 Alabama (51-12) on ESPN2. Making their fifth WCWS appearance in the last six years and 10th trip overall, the Sooners face off against the Crimson Tide in another matchup between the teams in postseason play. The two met in the 2015 Super Regional in Tuscaloosa, opened the 2014 WCWS against one another and faced each other in the 2012 WCWS Finals. 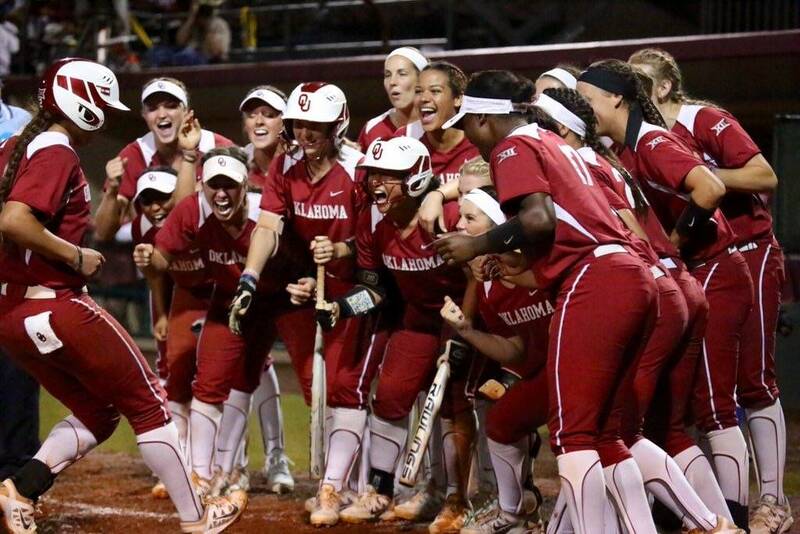 The teams have already faced one another this season, as Shay Knighten's walk-off home run gave Oklahoma a 2-0 win on March 19 in Fullerton, Calif.
More >> Oklahoma Sooners softball news and information. In their second game of the double elimination tournament, the Sooners will face either No. 2 Michigan (51-5) or No. 10 LSU (50-16). A win over Alabama would have OU play on Friday night at 8:30, while a loss would see Oklahoma play its second game Saturday at 1:30 p.m.
All-session tickets and outfield flex packages are sold out, as are all single-sessions except for session 1. A limited number of standing room only tickets will be made available for each sold out session. They will be made available at the stadium on the day of the respective session. Fans can also look for tickets on NCAA.com/Exchange, the NCAA-approved secondary ticket marketplace. No. 8 Florida State (53-8) vs. No. 16 Georgia (45-18), 11 a.m.
No. 4 Auburn (54-10) vs. No. 12 UCLA (39-14-1), 1:30 p.m.
No. 3 Oklahoma (52-7) vs. No. 6 Alabama (51-12), 6 p.m.
No. 10 LSU (50-16) vs. No. 2 Michigan (51-5), 8:30 p.m.